Observation - Spring tail - UK and Ireland. Description: 3mm approx, could jump30mm in length.Maybe Orchesella sp. 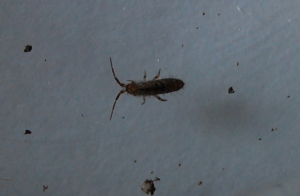 3mm approx, could jump30mm in length.Maybe Orchesella sp.